Huddersfield Town have signed Ramadan Sobhi from Stoke for an undisclosed fee. It will be the Senegalese international’s second spell in the Premier League having played for Sunderland in 2013. Bradford City have completed the signings of Carlise United's Charlie Wyke for an undisclosed fee and Aston Villa's Kevin Toner on loan until the end of the season. The whites have completed their second signing on transfer deadline day, bringing in the winger on loan until the end of the season. Chesterfield have loaned in two new players on deadline day. The Spireites have signed Manchester City's David Faupala until April 30th and Preston's Liam Grimshaw until the end of the season. Bradford City have completed the double signing of full backs Matthew Penney and Jacob Hanson. 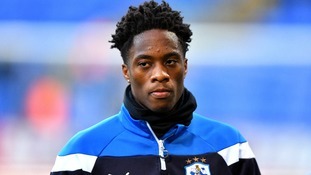 Nineteen year-old Hanson, who can play as a centre half or right back, has signed a two-and-a-half year deal after moving from West Yorkshire neighbours Huddersfield Town for an undisclosed fee. Left back Penney, who turns 19 himself in February, has penned a loan deal from Sheffield Wednesday that will keep him with Stuart McCall's squad until the end of the current 2016/2017 season. Rotherham United have signed Norwich City striker Carlton Morris on loan until the end of the season. Mason has tweeted to say thanks for the overwhelming support to him and his family since he fractured his skull in a match against Chelsea.